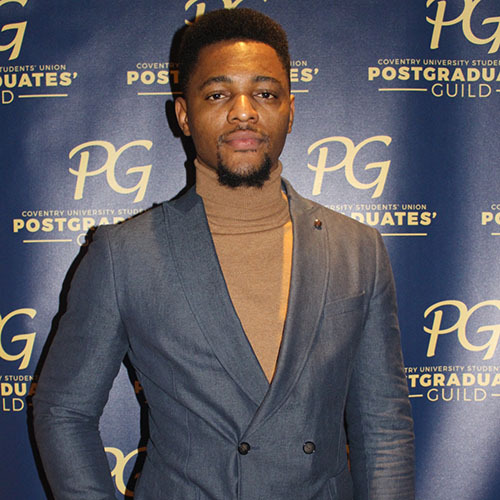 Coventry University students are enjoying a home from home with the growing Nigerian Society – enjoying events, meeting new friends and boosting their educational experience in the UK. The Association of Nigerian Students is open to all undergraduate and postgraduates at Coventry University and offers a chance to get involved in Coventry University’s Student Union, find accommodation and make friends across the campus. Current Student Union President and former Society Provost, Chidiebere Ahanonu said as well as helping him feel at home, the community means he can now give back to the University as a graduate – something he wants others to experience during their time in Coventry. Chidiebere who came to Coventry in 2015 to study for an MSc in International Business is now the first point of contact for new students as the provost of the society after remaining heavily involved even after graduation. The society also helped him find new confidence and stand in the Union elections in 2016 when he was elected as the vice president for postgraduate before being re-elected as president this year. Chidiebere said “I joined the Nigerian Society when I arrived at Coventry and enjoyed every bit of it. The community to me is a home away from home. It’s a great a mix of culture, love, laughter, peace and individuals with a drive to excel in life. “The vibe you get from the Coventry community and fellow Nigerians gives you the courage to do your best and to stay happy. “The best decision I made was to be part of the student representation system. It gave me more opportunity to make decisions regarding students’ welfare, build good relationship with lecturers and raise suggestions to better the experience of everyone on my course. The Nigerian Association also offers academic support, social events, and support finding accommodation, passport renewal or any issues which may arise during their stay. Members receive updates on job opportunities, internships and placements, and benefit from heavily subsidised trips abroad. To find out more about studying at Coventry University, click here. Students’ Union elections: Why should you vote?